In a recent report released by the Chamber of Automotive Manufacturers of the Philippines or CAMPI for the third quarter of 2016, new vehicles sales for the first eight months increased by 28 percent or 229,919 units from 179,839 units in the same period of 2015. Although passenger vehicle sales increased by almost 16 percent to 84,926, the growth of the industry is largely fueled by commercial vehicle sales, soaring 37 percent to 144,993 units. It’s a segment growing at double the pace, driven by the Philippine automotive industry’s most popular segments: SUVs, MPVs, and utility vans. And while the appeal of SUVs is clear by now, MPVs and utility vans are also increasing in sales due to its duality. On one hand, some models serve as the backbone of public transportation and on the other, it has become an alternative to executive sedans, preferred by some for their space and comfort. The versatility of vans has resulted in fierce competition in the segment and each carmaker has adopted its own strategy to capture market share. Supplementing Hyundai’s venerable Starex is a much larger H350 while Nissan continues to swear by its NV350, now joined by an 18-seater variant. Stalwart Toyota has a diverse line-up made up of the reliable Hiace, available in several body sizes and styles, and even the Innova, and the Alphard. Unsurprisingly, Foton Philippines has joined the fray and instead of focusing on two or so models, proudly Philippine-made Foton has begun offering four MPVs and utility vans in varying shapes, sizes, and capacities. On one end is the Toano, an executive-class van that easily seats 11. A new higher-end variant, featuring a nautical-inspired interior, was even launched at the Philippine International Motor Show. 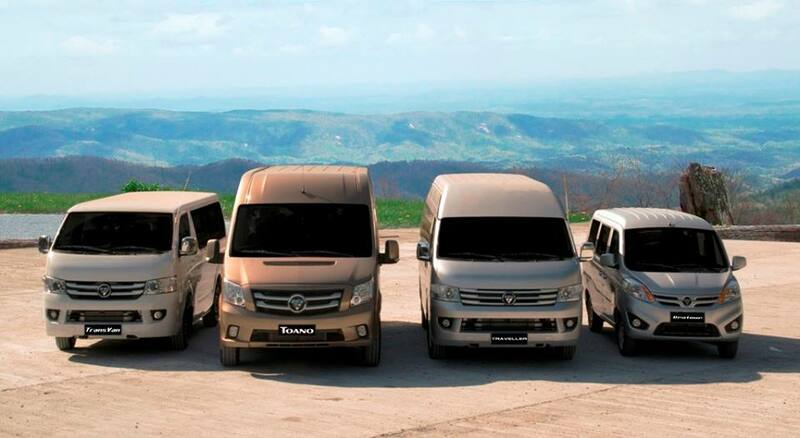 Sandwiched in the middle are the View Traveller and View TransVan, which offer two different shapes and price points. The latest entrant is the most interesting one: the Gratour. The sub-P500,000 Gratour is a diminutive 7-seater van that’s touted to be the country’s most affordable people mover. Apart from being cheap, it remains capable and spacious. It’s also powered by Foton Philippines’s first-ever gasoline engine.